As a kid, I always loved it when my dad would drive us out to Marine drive between the Columbia River and the runway at Portland International Airport. On our way there and just down the road from where we would parked, we would always stop at this market to get something to drink. 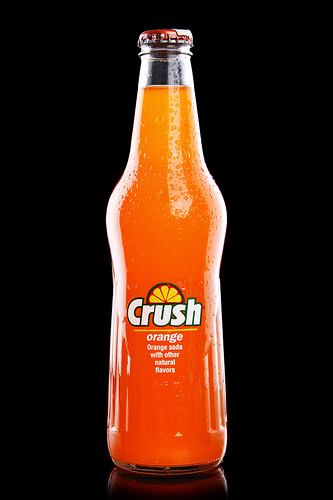 I always got a bottle of Orange Crush. As a kid, I remember sitting there wide-eyed in wonder at the giant planes constantly landing. At times, it seemed like they were going to land right on top of our car. I was always in amazement. However, I remember sometime in the late 70’s when a DC-10 crashed in Portland and seeing that on the news. That one news report set me back years as it would be decades before I truly was able to shake my fear of flying. Though for years I did not want to step onto a plane, that never stopped me from respecting their sheer power. It’s funny, my family now jokes with me about planes in that every time they are with me and see a plane they mock me..
“Oh my goodness… do you see that? It’s a… it’s a plane!” they would say, in a sarcastic tone. And why not? I do seem to get a little carried away when I see a fighter jet race across the sky. Where we have lived for over the past decade is a few miles away from our regional airport which hosts our annual international airshow. We live in a cul-de-sac where most everyone else has lived here forever. Because of our proximity to the airport, the jets almost always make their bank turns just over our house. “Yeah!!! !” or “Owww!” and for good measure, “Whooo!!!”. They must think I am crazy. But, I don’t care. I love going to the airshow. But, I will say that I am one of those guys that good do with or without all the stunt acts. Quite frankly, I would love to just watch these fast jets just blow by the tower all day long. I don’t think I would ever get tired of it. The power alone just makes me laugh. A. Rent a car at LAX and watch the jumbo jets land right on top of you nonstop. Pretty cool, if you ask me. B. Go back in time with my brother has he shares his experience in Gulf War I. Listening to my brother talk about his experience is pretty surreal. As we walked the airshow today, he would slip in some stories from the war or back on the base. For him, the sheer power of jets was beyond being all too real. What I was watching was for exhibition and travel. What he witnessed was the real deal. They were playing for keep. Me, I just keep for play. I don’t know when my complete fear of flying went away. I know it must have been the moment I realized that praying works because for the most part now, I really quite enjoy flying. The sheer power is intoxicating. The only thing that could make it better now would be to stand there watching the planes… with an ice cold bottle of Orange Crush. Previous Previous post: How I learned improv in a grade school. Next Next post: Allow me to introduce you to a musician friend of mine….